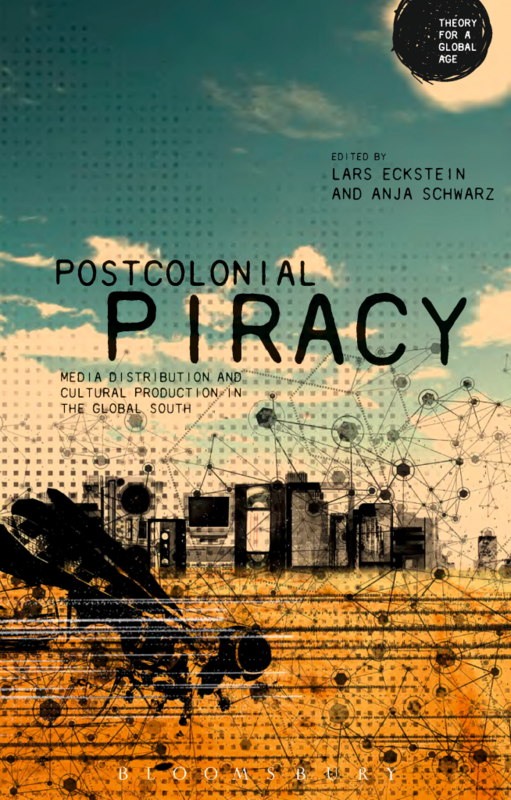 The anthology Postcolonial Piracy. Media distribution and cultural production in the global south, edited by Lars Eckstein and Anja Schwarz from Potsdam University, is out. It was published by Bloomsbury in late 2014 whom Lars and Anja convinced to do so under a CC licence. The book says BY-NC-SA while the university website says BY-NC-ND and the Bloomsbury website doesn’t say anything at all. Bloomsbury presents the book in „PDF page image format“ as „Bloomsbury Open Access“, telling the reader: „The pages are provided here to facilitate browsing. If intending to read in full, you may prefer to download the original PDF,“ but not providing an opportunity to download. Anyway, it is available for download as postprint at the University Potsdam. The collection comes out of a conference under the same title in December 2011 in Berlin. It includes my contribution „On the Benefits of Piracy“, pre-published under the title „A Proposal for Legalizing Small-Scale Physical Copyright Piracy Book Publishing, Video Films and Music in Developing Countries“.